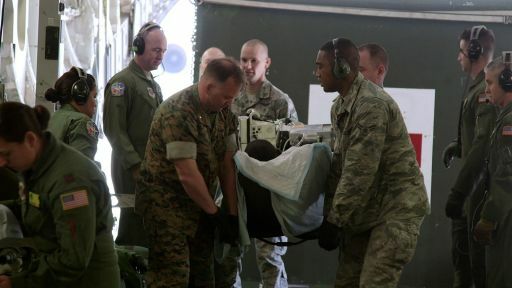 One of the advances that has contributed to a lower fatality rate in the wars in Iraq and Afghanistan is the creation of Critical Care Air Transport Teams (CCATT) that turn planes into flying intensive care units. 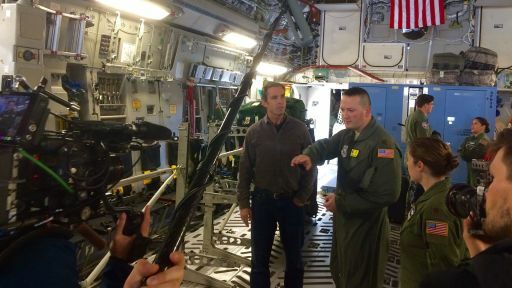 Correspondent Bob Woodruff speaks to Major Michael Tiger, a CCATT physician aboard a C-17 at Ramstein Air Base in Germany. 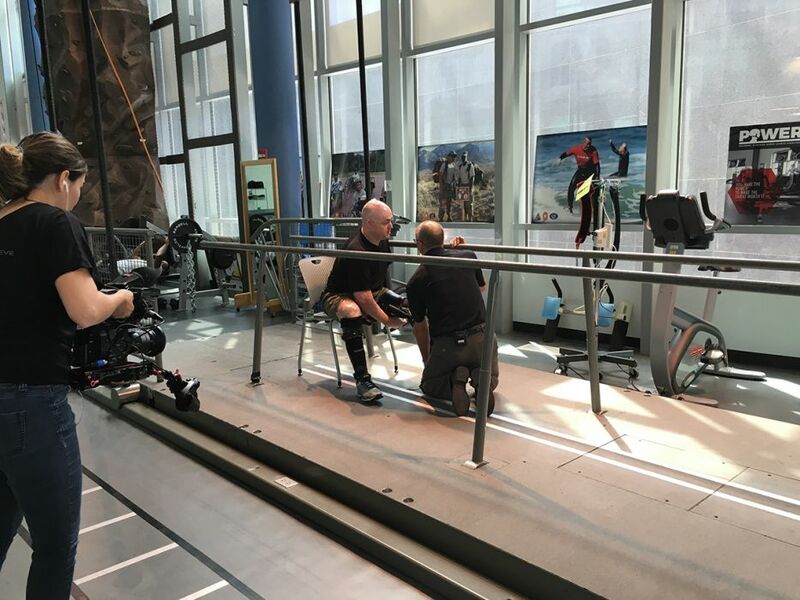 Lt. Col. Bryan Forney, USMC, puts on his Intrepid Dynamic Exoskeletal Orthosis (IDEO) brace with the help of John Fergason, chief prosthetist at the Center for the Intrepid at Brooke Army Medical Center in San Antonio, TX. The IDEO braces, invented at the CFI, enable patients to walk, and sometimes even run, despite severely injured legs and ankles. 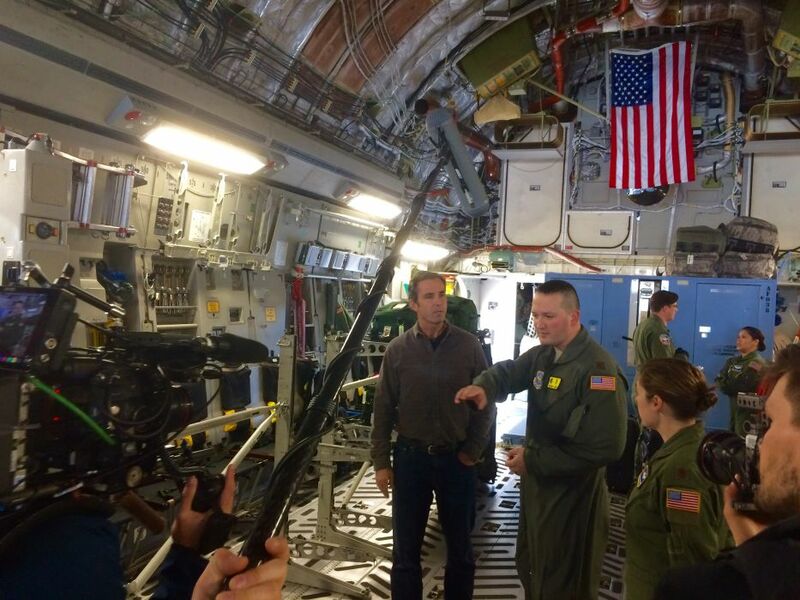 The production team films Sgt. 1st Class (Ret.) 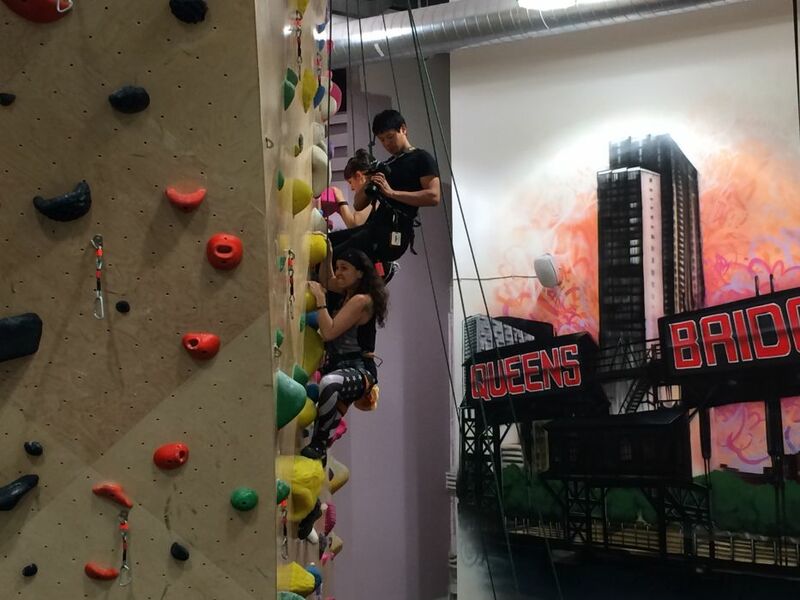 Elana Duffy as she scales an indoor rock wall in Queens, NY. 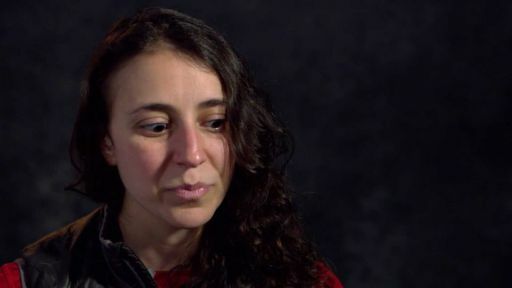 Duffy has been climbing for over 20 years, but she says she struggles with it after she suffered a traumatic brain injury while deployed in Iraq in 2005. Staff Sgt. (Ret.) 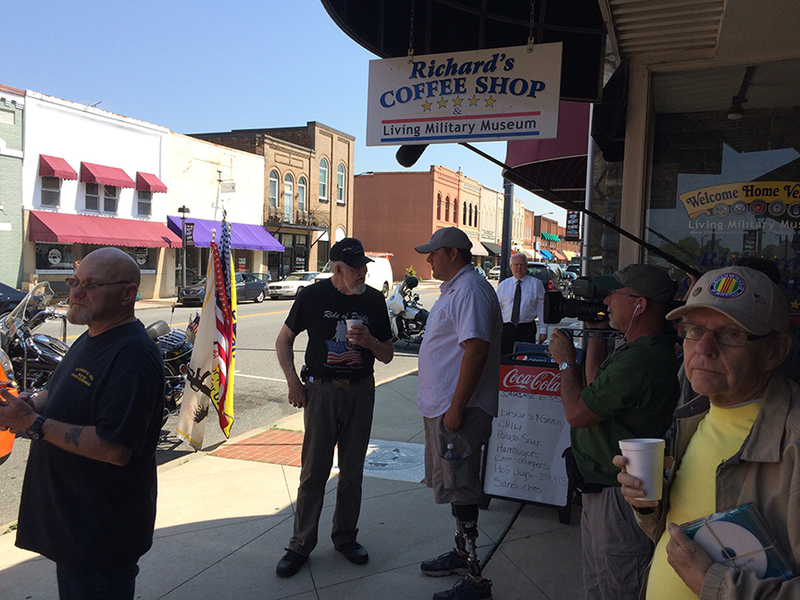 Dale Beatty talks with fellow veterans outside Richard’s Coffee Shop in Mooresville, NC. This coffee shop and military museum serves as a place where veterans of all wars can connect. Army Sgt. 1st Class (Ret.) Ramon Padilla lost his arm while on deployment in Afghanistan. 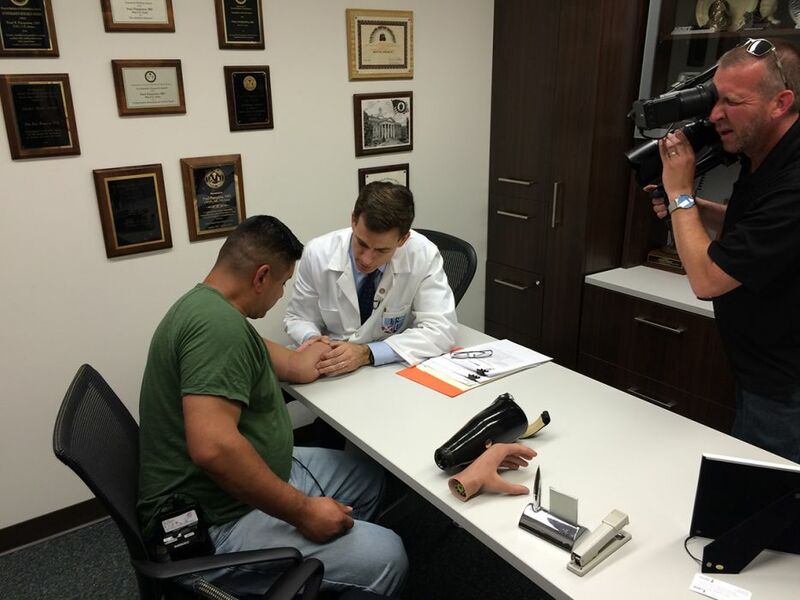 He is participating in a clinical study of a prosthetic arm and hand that he can control through sensors implanted in his muscles. 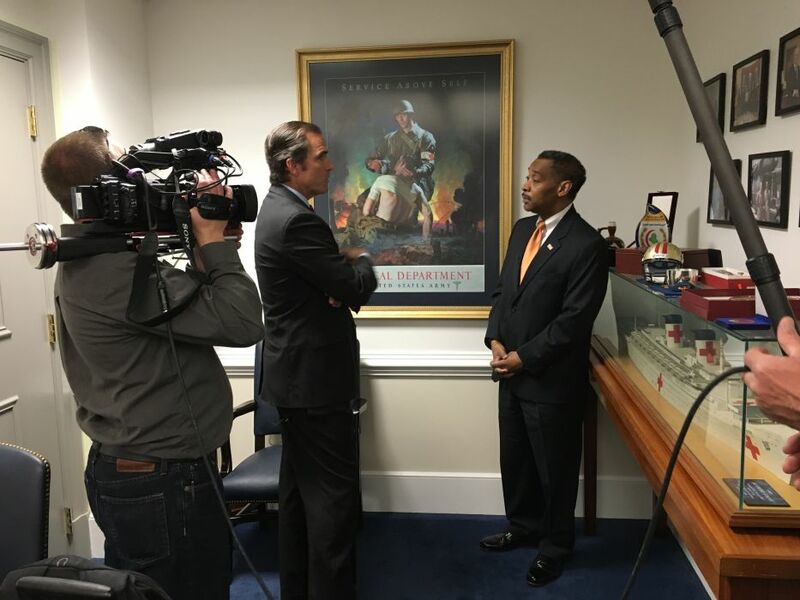 The production crew followed him as he checked in with the study’s principal investigator, Dr. Paul Pasquina, Chief of the Department of Rehabilitation at Walter Reed National Military Medical Center and at the Uniformed Services University of the Health Sciences, and a retired Army colonel. 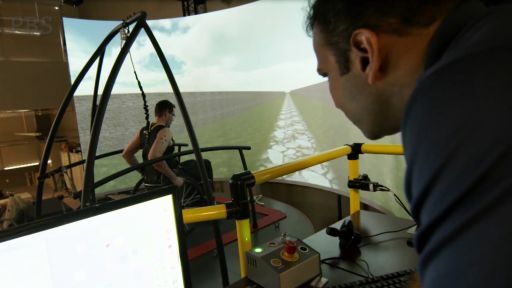 The Human Engineering Research Laboratories are a joint project of VA Pittsburgh and the University of Pittsburgh, whose mission is to improve the mobility of people with disabilities through advanced engineering, clinical research and medical rehabilitation. 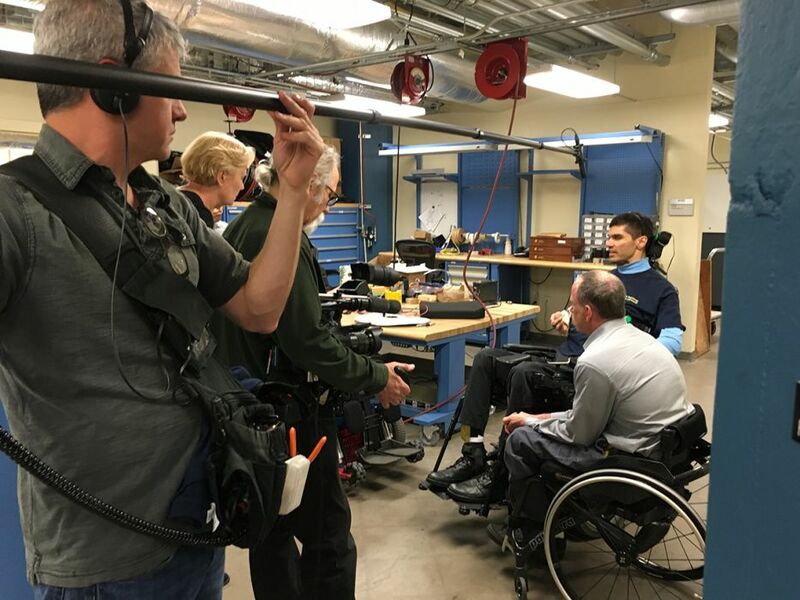 Here, director Rory Cooper and graduate student researcher Andrea Sundaram show off the Mobility Enhancement Robotic Wheelchair (MEBot), a new product designed to climb curbs and navigate uneven terrain. 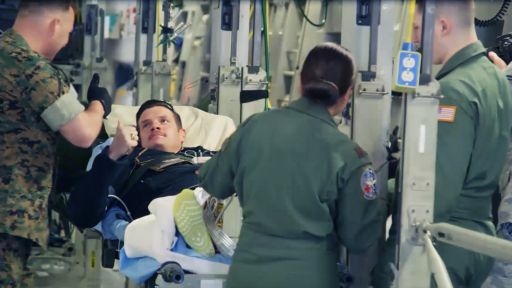 Military Medicine: Beyond the Battlefield is made possible by the Corporation for Public Broadcasting, as part of Veterans Coming Home, a nationwide public media project helping to bridge the military-civilian divide.